It's February! 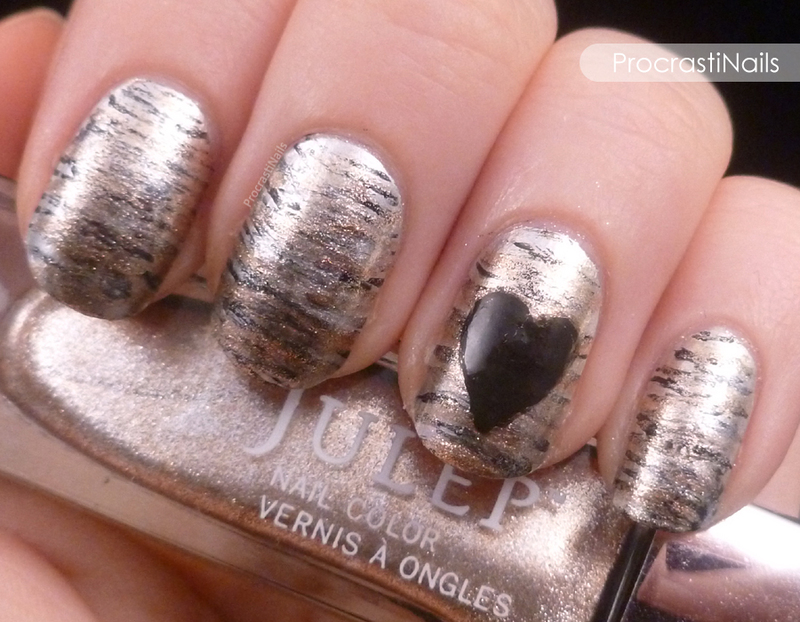 Also known as The-Month-When-Nail-Artists-Put-Hearts-On-Everything! Valentine's Day and it's affiliated paraphernalia aren't really my thing, but I do like drawing hearts so this year I'll join in. :) To start the month off I have the results of playing around with OPI Push and Shove as a base. I loved how this turned out, and I always forget how easy fan brush mani's are! Like I said, the base for this look started with two coats of OPI Push and Shove. Other bloggers were saying that when they put other polishes/top coats over it the polish would crinkle up, but that wasn't a problem for me at all. When the base was dry I used a fan brush and swept across layers of Julep Amity, Julep Margot, Julep Reiko and Rimmel London Black Satin. I used my new Sally Hansen I Heart Nail Art Pen in Black to draw on the heart, and sealed the whole thing with a coat of Seche Vite. 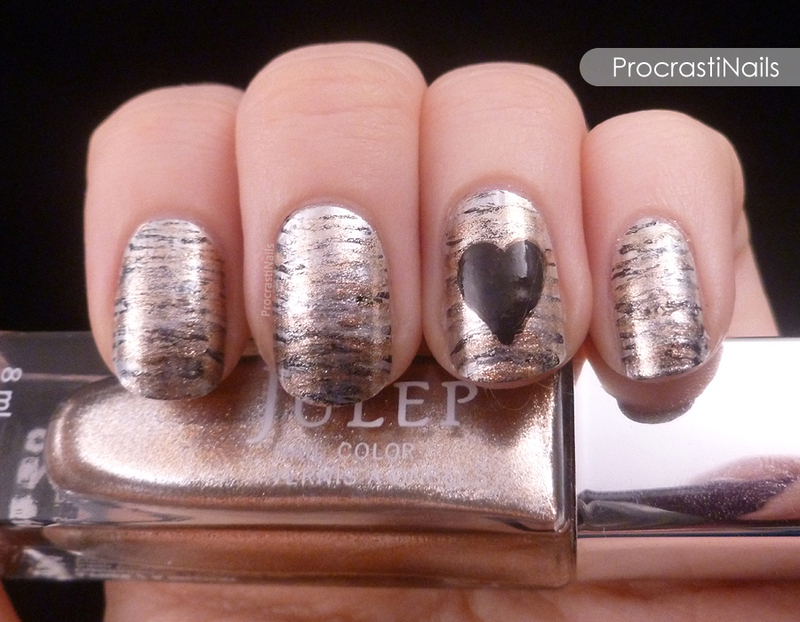 I love how the metallics make this mani so bright and striking. It's hard to tell, but there's silver, gold and rose gold in there. They merge together so nicely! And with the black in there it almost looks like animal stripes, don't you think? I knew this one would be the next one! =P I really like fan brush manis, if only they weren't quite as time consuming...lol Yes, I'm lazy. Hahaha we do seem to put hearts on everything don't we? I love how this look came out! Very neat! I love this manicure!